Hey George, it's really a pleasure for me to do this interview with you! Without any doubt LAS CRUCES are one of the best Doom Metal bands from the 90's and the two albums 'S.O.L.' and 'Ringmaster' have become classic albums over the last years. 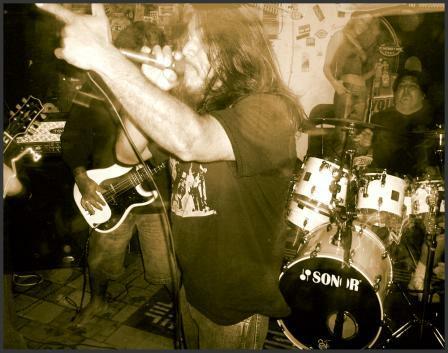 The band was formed in 1994, but have you played in any other bands before the birth of LAS CRUCES? 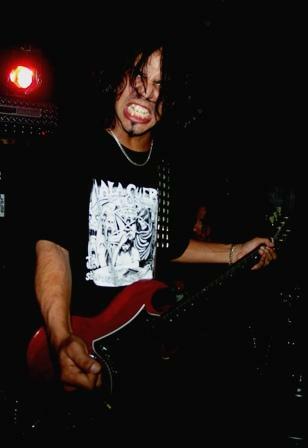 Before I formed Las Cruces I used to play guitar for a Thrash Metal band called Mercynary from right here in San Antonio. Scene was cool back then. When did you discover your love for Doom Metal and which band did inspire you the most? I can't remember exactly when but definitely inspired by Black Sabbath. Before we talk about further details in the band's biography, let's s focus our attention on something very sad. I was really shocked, when I read on your myspace-site, that vocalist Mark left the band. To be honest, he doesn't belong to those kind of singers, who are so easily to replace. His outstanding and intense vocals are definitely one of the trademarks of your sound. Why did he leave the band and are there any chances that he maybe will return? Have you found a new singer and who's this guy? Well Mark decided to take some time off for personal reasons. His vocals are amazing and are definately a part of the Las Cruces sound. No permanent singer has been found to replace Mark but for now our drummer Paul has been filling in. I gotta be honest, Paul is certainly doing a phenomenal job considering he's pulling double duties. We are still looking for a permanent singer. We know that no one will truly be able to replace Mark but we must soldier on. I do not believe he will be joining the ranks of Las Cruces any time soon. Your debut full-length 'S.O.L.' has been released on John Perez' label Brainticket Records in 1996. At that time, the band was still a trio. How do you remember these days and the time in the studio? Did you have had a lot of fun? And what the hell does 'S.O.L.' mean? Those days are kinda of a blurr to me, I didn't actually record on S.O.L. because I had made other commitments and couldn't make the trip to Dallas to the studio. S.O.L. stands for Solitude of Lunacy. Is it true, that you've got signed to Brainticket at a Mercyful Fate show in San Antonio, TX, where you supported this giants of heavy metal? Unbelievable but true. We were the local support band for both Mercyful Fate and Solitude Aeturnus that night and as soon as we had finished our set and Solitude Aeturnus was getting set up, John Perez came over to Mark and myself and basically asked us to sign on to Brainticket Records immediately. Have you recorded a lot of demos before you have been signed and have there been other labels, who showed interest in LAS CRUCES? We were gearing to cut a demo but no, we don't have any. We were incredibly lucky that John Perez signed us with out a demo. In 1999 'Ringmaster' saw the light of day and you couldn't have chosen a title, that is more appropriate than this. Although this is a magnificent album, the recording sessions stood under a bad sign, because your former guitarist Mark Lopez left the studio during the recordings. From where do you took the strength to continue and what do you think about the album today? Lopez left right before the final tracks were gonna be laid down. He decided that he wanted nothing more to do with the business and caught a bus back to San Antonio that same day. We decided to finish without him. I think the album turned out to be pretty good. How important are the lyrics for the music of LAS CRUCES, and who's responsible for them? Lyrics are very important to us. Mark Z was the main lyrics contributor but others have had their hands in the mix so to speak. I don't know what was going on in Mark's mind when he thought of lyrics like " I'm prancing on the rings of Saturn. Meltdown before my eyes." ??? I guess, you already know, that both albums have been re-released from the German label Gutter Records in 2000. Did you gave your agreement to this deal and what do you think about the re-issues? I thought the re-issues were really cool. I didn't know that Gutter Records were releasing them. Mark handled mostly that part of the biz. What was the reason that you never did any promotion outside of the USA for the albums? I guess it was mainly due to the costs involved. Brainticket really promoted the hell out of Ringmaster in the U.S. but not sure why no promo over seas. A few years later you recorded the fantastic CD-EP 'The Lowest End', what is maybe your heaviest release until now. I was surprised, that it was released through Cross Eyed Records. Didn't show Brainticket interest in this four-tracker? I believe Brainticket Records had alot of other bands signed to the label and it was not possible at that time to release another album. 'The Lowest End' include also new versions of 'Farewell' and 'In My Sadness', which have been also on the 'Stone Deaf Forever' compilation and on the 'I Am Vengeance' soundtrack. It's not that this songs are worse or boring, but I suppose that a lot of fans expected to hear new material. What was the reason for that decision? We recorded "FareWell" again and made it slower as it was originally supposed to be. "In My Sadness" was just included but not re-recorded, just added on some CD's as a bonus track. 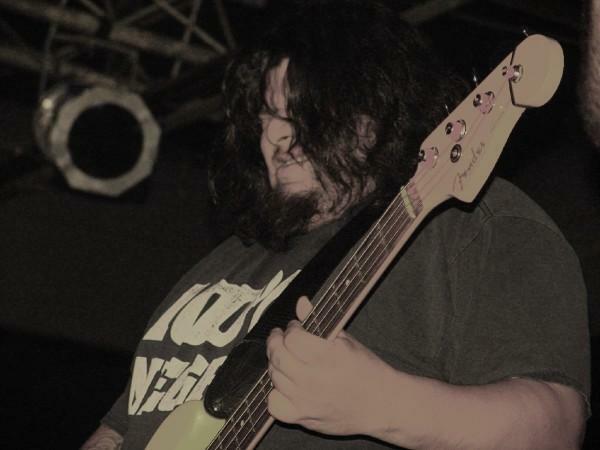 There were a few years, where it seems as if LAS CRUCES have been vanished from the music scene. Can you agree, and what happened with the band? Have there ever been any plans to split-up? Las Cruces actually did split up for a couple of years around 2000. We all moved towards different directions and I had decided to take a break from the music scene. Mark continued the band with new members for a while until he decided to move to another city. Then in 2004 I called Mark and we talked about doing one final Las Cruces album. Soon after we began rehearsing we started to get calls to do shows and we moved forward with the band again, new blood and new tunes. This month you will play at the Dallas Doom Daze Festival. Are you involved into the organization of this happening and will you present some new songs? No, not involved with the event but we will definitely be playing new songs. Looks like a really cool line-up for all 3 days. George, it's been almost ten years ago, since the release of 'Ringmaster'. When will you release me and a lot of other fans from the pain to wait for your third album? Can you tell me anything about it? Well the plan is to re-release 'Ringmaster' through Brainticket again and see how well that goes and then in turn release new album entitled "Dusk" by this Summer. Album is completely recorded and it will contain new songs as well as revamped versions of 'Banished', 'FareWell' and 'Grin'; which were on the 'Lowest End' EP. When will LAS CRUCES come over to Germany and could you imagine to play at next Doom Shall Rise Festival in 2009? It would totally be cool to perform at the DSR for 2009. Previous years we have had to say no to the invites because of Mark's schedule but now we might be able to do it. At least, I would like to ask you what you're doing beside the band? What are your other interests in life? I totally enjoy spending time with my family. I like to collect hard to find Horror movies and soundtracks and of course love to drink my fave, Heineken. Thanks a lot for your answers, George! All the best to you and long live LAS CRUCES!!!!! !